Running in Tallinn, Estonia. 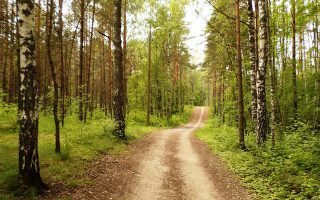 Best routes and places to run in Tallinn. Located on the northern shores of Estonia’s Baltic sea, Tallinn is a culturally complex city where a modern “European Silicon Valley” vibe meets perfectly preserved medieval architecture among the relics of Nazi and Soviet occupation. This scenic seaside city across the Gulf of Finland from Helsinki has grown as a tourist destination in recent years. Running in Tallinn takes advantage of the city’s scenery and compact size. 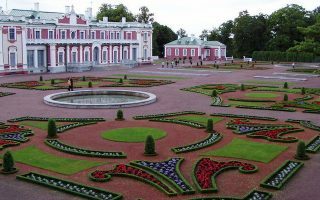 The best places to run in Tallinn take advantage of the city’s history and architecture, whether it’s a loop around Old Town, a kilometer (or 5) on the Kultuurikilomeeter, or an extended exploration of Kadriorg Park. 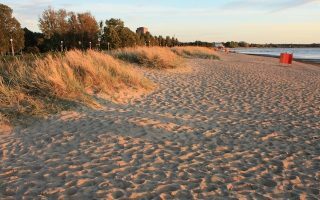 For a scenic look at Tallinn’s coast, try the friendly Pirita Tee path, or the beachside stretch in Peluguranna. A more challenging option is to come in late May for the City Trail half marathon, which celebrates the city’s natural beauty. This may be one of the few cities where all routes are runnable from the main tourist center. Still, Tallinn has a great public transportation system that can help you get around to the further-off neighborhoods. This includes a central rail and a public bus system. Ticketing works on a random-inspection basis, so make sure you are prepared ahead of time. That way, you can spend less time buying bus tickets, and more time running! The run to Pirita, the neighborhood to the northeast of Tallinn, is notable for its great views of the Tallinn Bay from the 4 km (one-way) waterfront path. A 4 km loop around beautiful Old Town Tallinn, with its cobblestone streets, Gothic spires, and rich architecture — one of the best preserved medieval cities in Europe. 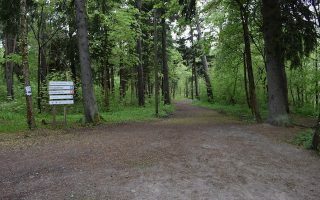 At over 70 hectares, Kadrioru is one of the most prominent parks in Tallinn, with miles of paved sidewalks and easy access from downtown. Beautifully landscaped, with a special promenade to the president's palace. Our 6 km route starts downtown. In 2011, this former railway embankment was converted into the 2.5 km Kultuurikilomeeter, a pedestrian and bike lane for commuting across the city. Numerous museums and other sites are along the way. On the marshy west side of the Tallinn Bay, the Pelguranna Path is a paved and dirt 6 km one-way from Meeruse Sadam to Võrgukuuride kivi. 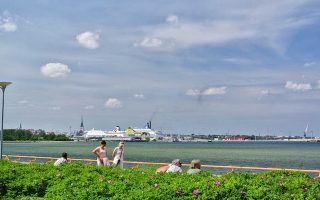 The Tallinn City Trail, usually held in late May, is a half marathon over the city’s natural surfaces culminating with a sunset view of the bay from the limestone cliffs at Sugarhill. 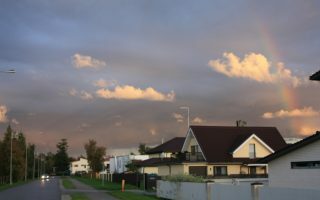 The Kakumae area is one of the safest and most runnable neighborhoods in Tallinn, with greenery, gardens, nice sidewalks and ritzy private housing. Trail runners will delight in this 8 km loop in the Harku Forest, a network of paths through forests, marshes, and mires, just southwest of the city center. 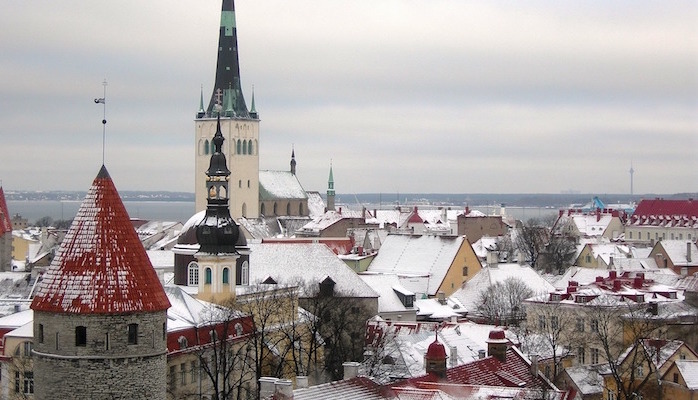 Tallinn has a humid continental climate with mild summers and cold winters. Average highs during the long days of summer are 21C (70F), with relatively cool nights, dipping down to 13C (54F). It rarely gets hot. In winter, temperatures can stay below freezing, with average high temperatures of -1C (30F) and lows about -6 (20F). Snowfall does occur frequently during the cloudy winters with short days. But only 23 inches of precipitation falls annually. Runners should bring an extra layer in summer, and winter running clothing in winter. 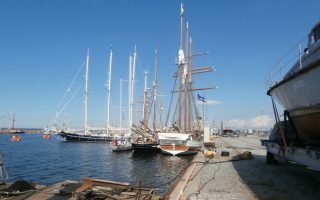 Find accommodations and other tourist information at VisitEstonia.com. You won’t find many independent running stores or group runs in Tallinn, so use our guide to find your way around! If you need gear, you can find chain retailers like Nike, Adidas, and Sports Direct throughout the city. Tallinn hosts a marathon, an IronMan, trail runs, and several other races throughout the year. You can find out more on VisitTallinn.com or Wilderness.ee.